Finding the right rifle case is incredibly important. The right case will protect your firearm and make it easier to transport, all while offering all the little "extras" you need. There are several important features that can help you make your decision, including a case's weight and dimensions, how secure it is, and whether it's waterproof or water-resistant. Get our tips on how to choose your new rifle case below. 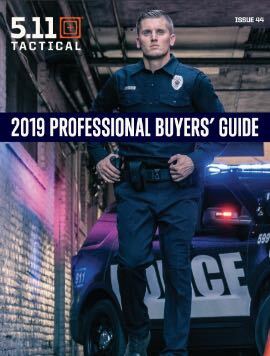 For most people, a soft-shelled rifle case offers the right mix of ease-of-use and protection – but the decision goes beyond choosing between soft and hard rifle cases. You need to find a case that's easy to carry, protects your gun, and includes enough space to carry any extra gear you need. Weight. A lightweight rifle case is easier to carry than a heavy one, but it may offer less protection (read: cushioning) for your gun than a heavier case would. Many soft-shell cases feature some degree of padding to protect your rifle from bumps and dings during transport so you should look to find the right balance of weight versus cushion. Strong straps. Your rifle case needs sturdy straps that won't pop off, tear, or break. Reinforced nylon straps are usually the most durable, and some cases have sliding pads that you can adjust based on how you're carrying the case. Look for padded, adjustable straps to make hauling your rifle over long distances easier. Water resistance. If you know you'll be operating in the rain or hunkered down in the mud, a waterproof case is likely a necessity. That said, it's nearly always a good idea to get a water-resistant case because you never know what you're going to face in the field or in the woods. Extras. 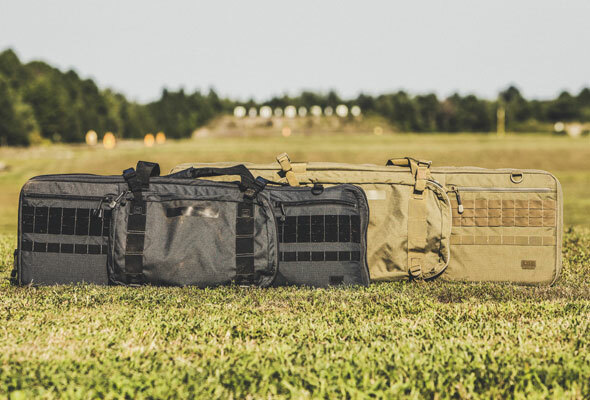 Some soft rifle cases feature roomy side pouches, padded carrying straps, and even nylon webbing that's designed for use with MOLLE accessories. Other cases have additional compartments, backpack straps, and internal tie-down systems that keep your rifle secured in its spot. Most jurisdictions across the U.S. require you to keep your rifle in a locked case when you're transporting it. A soft case is usually acceptable but typically needs to be locked, so it's a good idea to choose a rifle case with an easy-to-use locking system or multiple zipperpulls you can thread a lock through. The interior dimensions of a rifle case matter more than the exterior dimensions because your gun has to fit securely inside. For that reason, you must know the dimensions of your rifle itself first, and then find a case that will contain and secure it without leaving too much room for it to move around. Always check the dimensions of the main compartment – the one that holds the gun – before worrying about any other features. What Fabrics Should You Choose? High-denier nylon and rip-stop fabrics are usually the best material choices for a rifle case that's going to get plenty of use. Nylon makes cases more water-resistant, while rip-stop fabrics resist snags and tears. The most important factor in choosing a rifle case is whether it's a good fit for you and your gun. After evaluating the dimensions, weight, and "extras," you'll be able to find a rifle case that provides all the functionality you need.